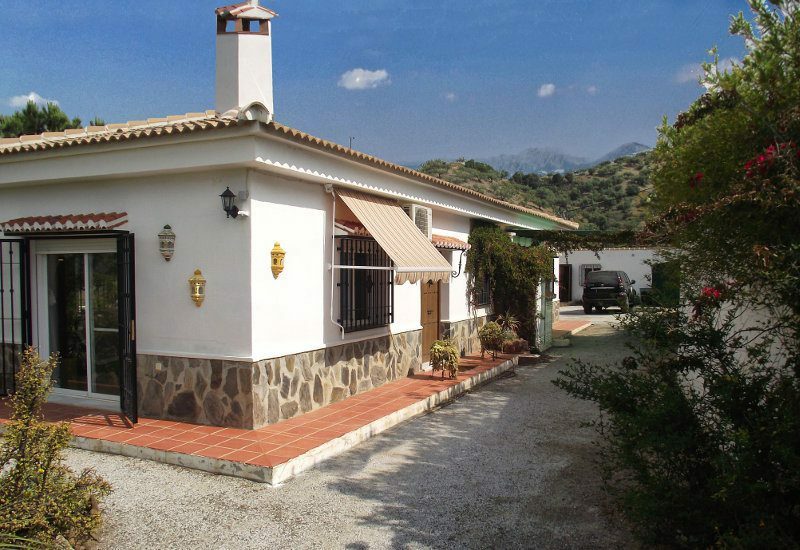 Our mission is to help you find your ideal dream home from all the properties that are for sale in the Axarquia area of Andalusia. We have no shop window or many houses for sale on this website because we believe in personal attention and tailor-made offers; therefore we normally work on a specific request basis. The houses you see here are 'special' in one way or another: full of character, built or renovated to a high standard using traditional materials, having great views and are set in nice locations. And on top of that, they have passed a first legal check. Take a look and let us know how we can help you further. 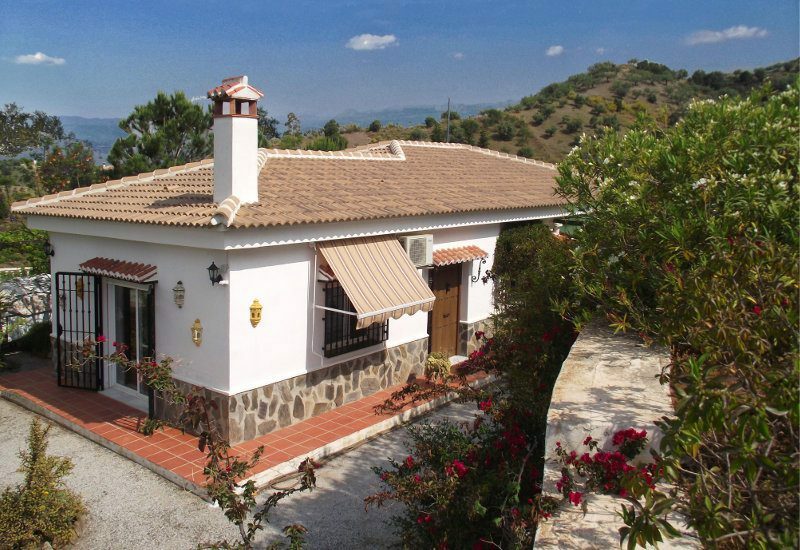 Casa Los Gavilanes is located on a hill in between the villages of Viñuela, Puente don Manuel and Canillas de Aceituno. 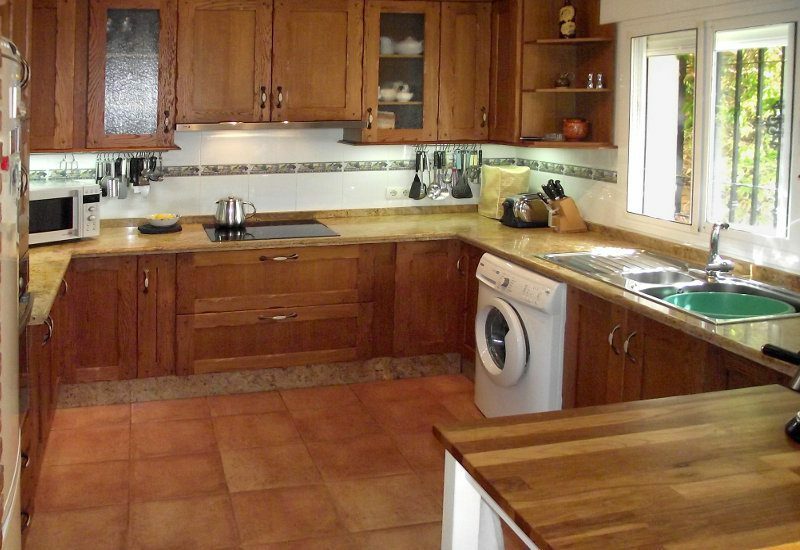 This tasteful, spacious and well priced country house, has a plot of more than 5,000 m2. 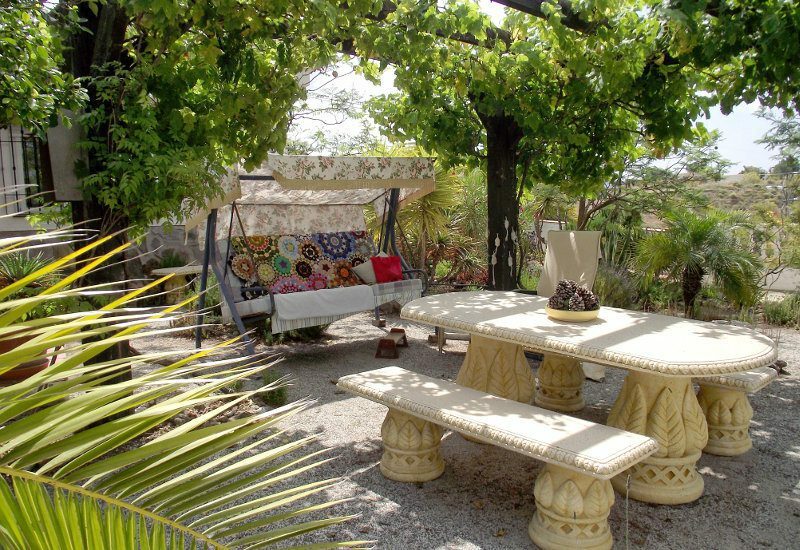 The beautiful garden surrounding the house has a large diversity of Mediterranean vegetation and provides a huge variety of cozy and shady seating areas. There is no swimming pool, but the large flat plot offers sufficient space to place an above ground pool. 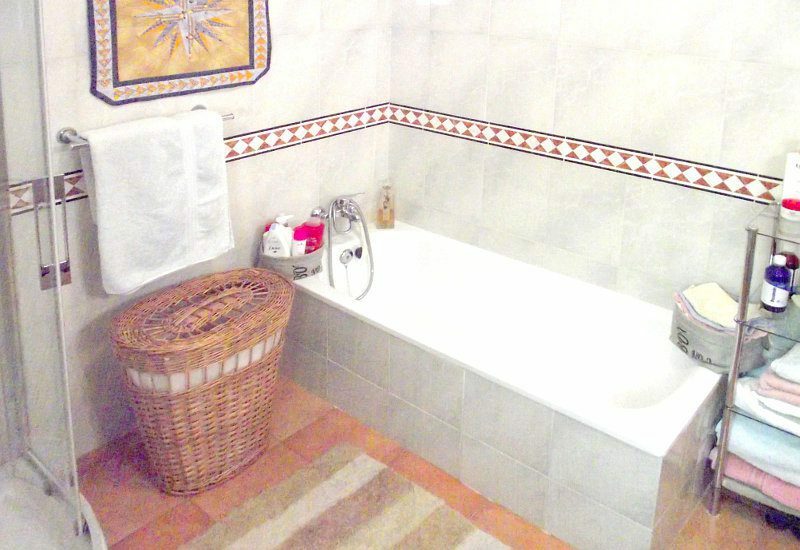 This attractive, ground level villa has three spacious bedrooms, a large bathroom with separate WC and offers comfortable living space both inside and out. 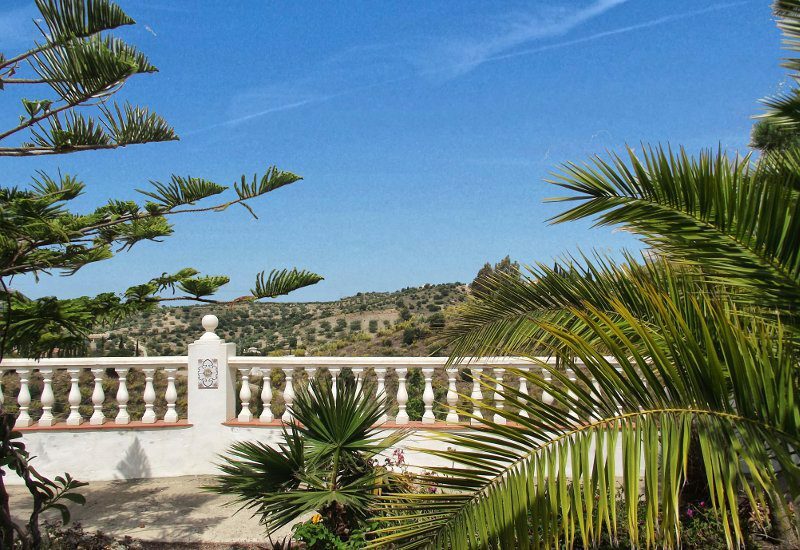 The property combines the charm of a picturesque location in the lovely Andalusian countryside with the comfort of easy accessibility. 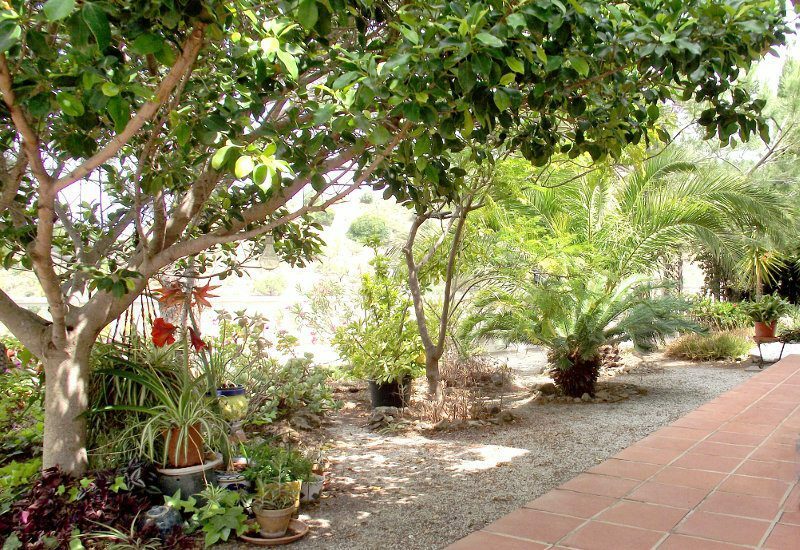 For instance a 5 to 10 minutes drive takes you to the nearest villages, within 25 minutes you reach the coast and after 50 minutes you will find yourself in the centre of Málaga. 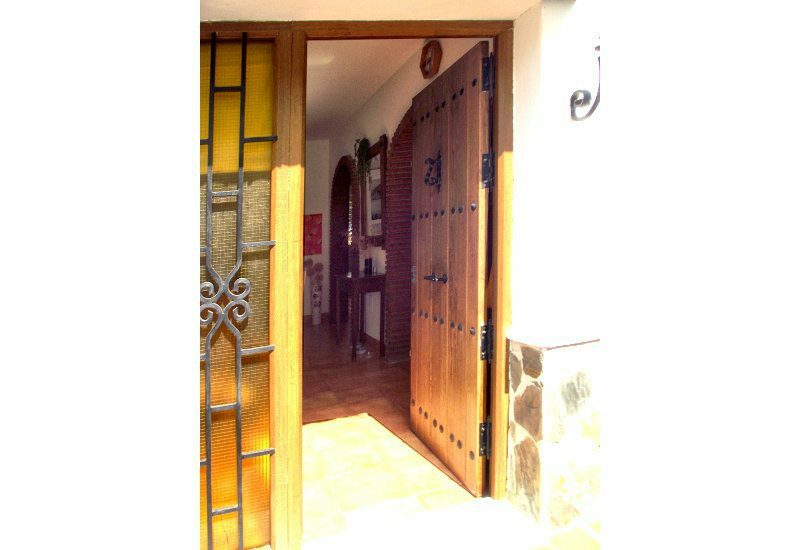 The main entrance is a solid wooden door that gives access to the house with the lounge (6 x 5.2m) to the left, a lovely light living room with many windows and sliding doors to the garden. In one corner of the room there is a fireplace that provides warmth and ambience on cozy winter evenings. 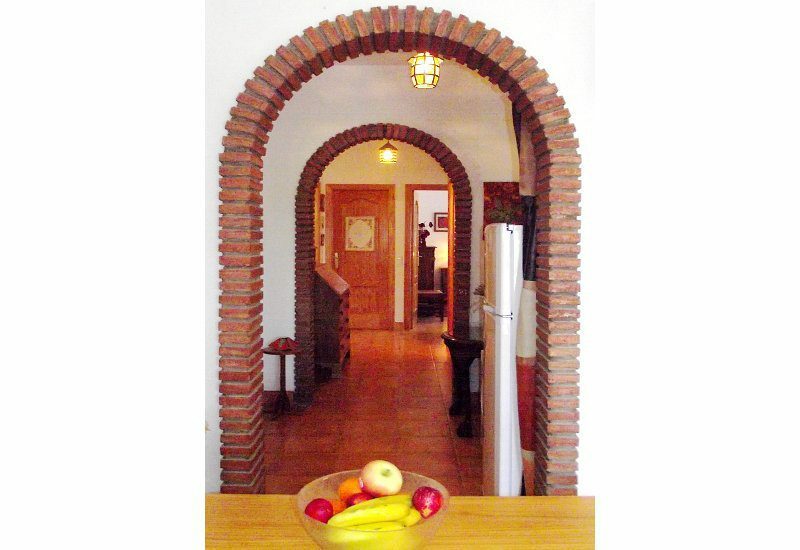 Through the front door to the right a stone arch leads you into the semi-open, fully equipped kitchen (2 x 3m). 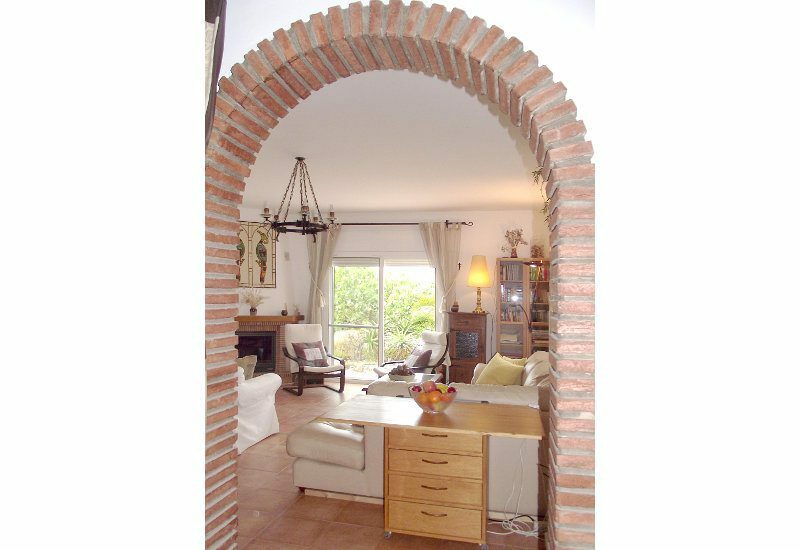 Next to the kitchen a smaller arch gives access to a hallway and directly to the left a door leads to a covered terrace and the garden. 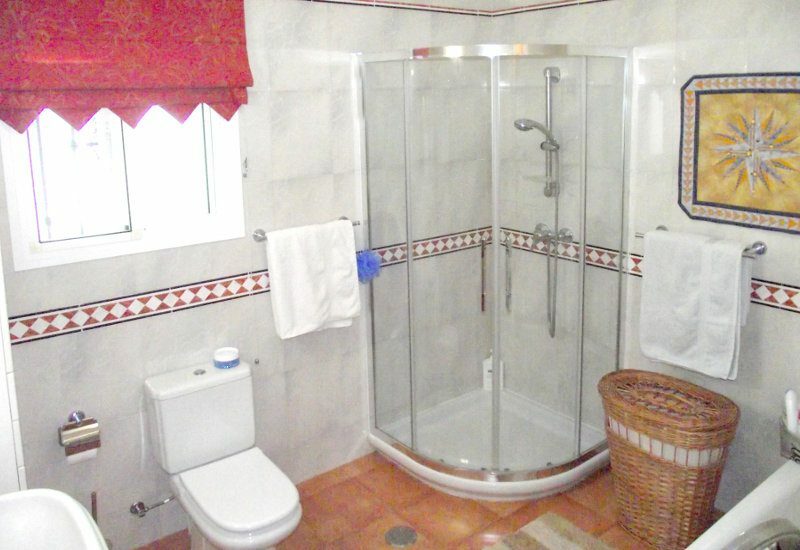 On the right hand side of the corridor there is a cupboard for storage and a seperate toilet. 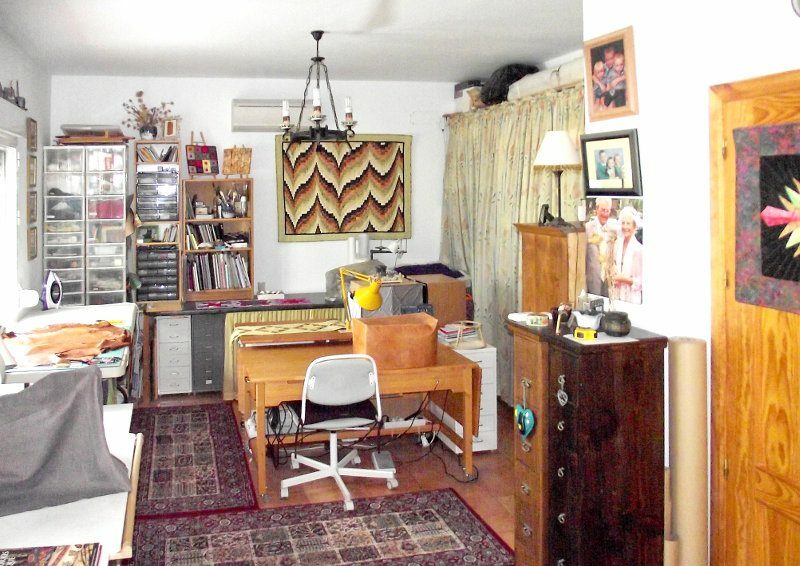 At the end of the hallway to the left you will find a large room, originally two bedrooms now opened up, serving as a spacious study/hobby room. 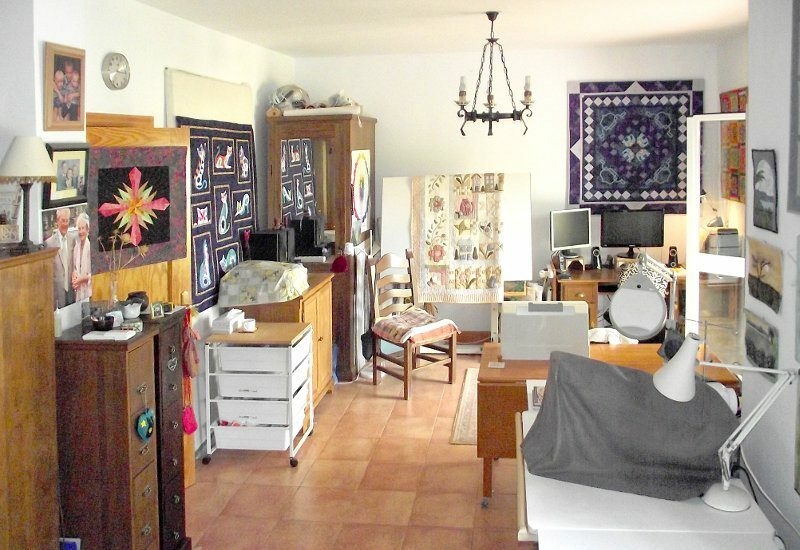 This large room (4 x 4m and 4.10m x 3.45 m) can be restored to their original state by simply placing a wall in the middle as the official door to the third bedroom has not been removed. 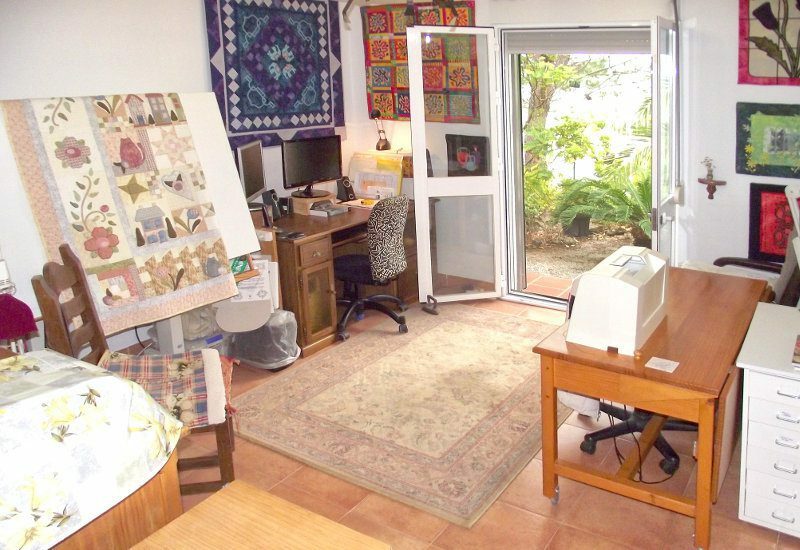 Both rooms are light and have sliding doors to the garden. 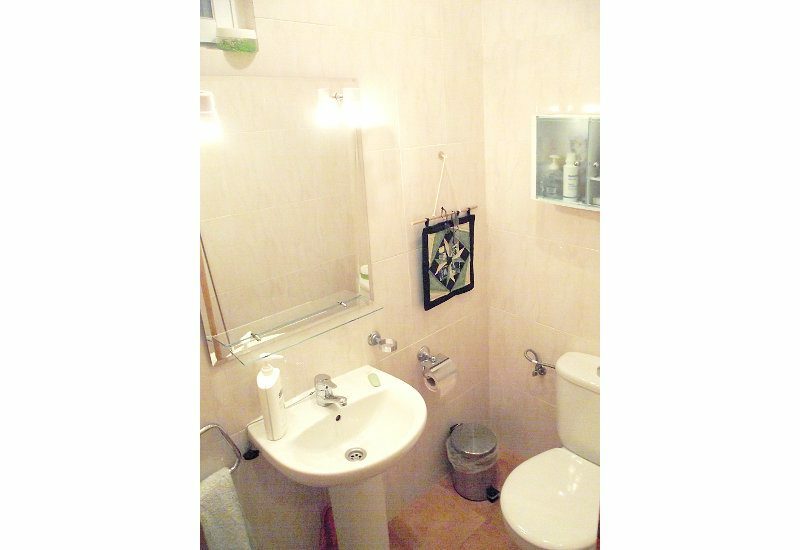 The master bedroom (4 x 3.5 m) is located at the end of the hall to the right, next to the full bathroom (2.4 x 2.8 m) with bathtub, shower cabin, toilet and sink. 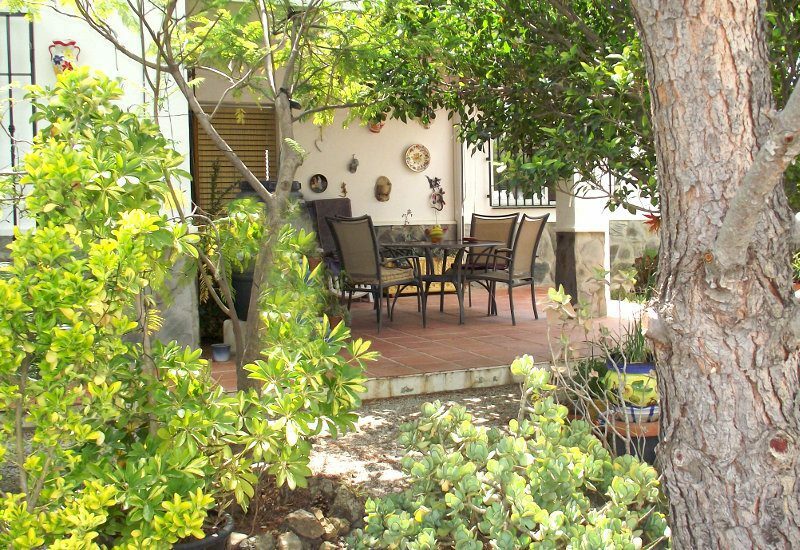 The villa is equipped with double glazing, air conditioning units (hot and cold) in all rooms and a fireplace in the living room. 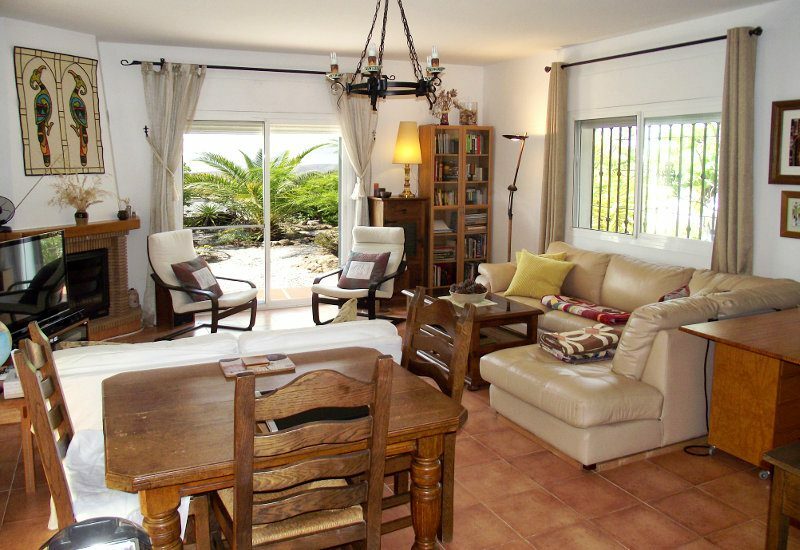 The property is situated at an accessible, quiet location surrounded by nature and with stunning views. 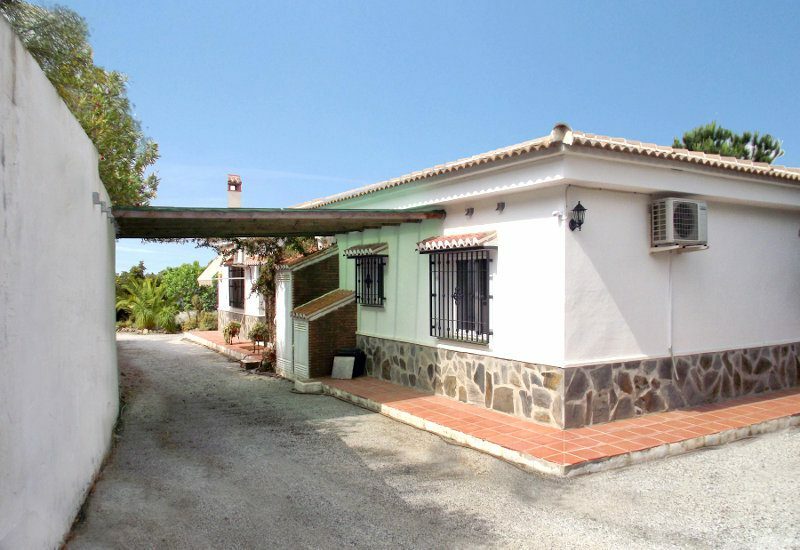 The driveway with iron gate connects to a well maintained access road to the little village of Rio Bermuza. Following the driveway along the house there is sufficient space to park several cars. Near the front door the car can be parked under a covered pergola. 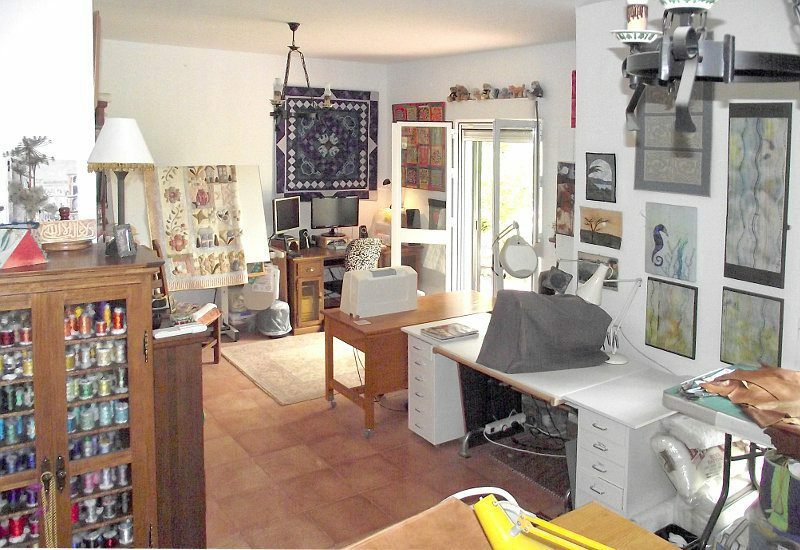 At the far side of the house there is an outbuilding (8 x 3m), at the moment serving as a hobby- /work space, and a shed (3 x 3m). 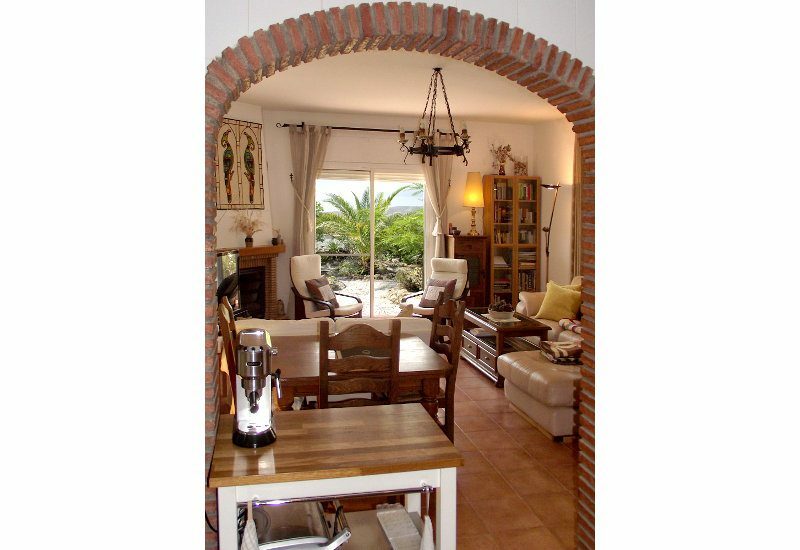 The living room, as well as the corridor and the large hobby room, give you access to a beautiful garden with a rich variety of Mediterranean trees and plants and many cozy seating areas. 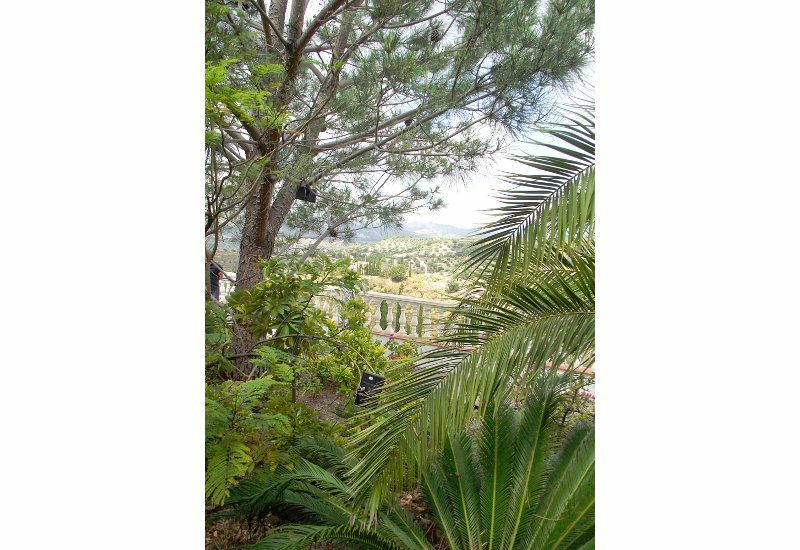 The front of the garden, where a 70 meters long balustrade is placed, offers a beautiful view of the valley with a glimpse of Lake Viñuela. 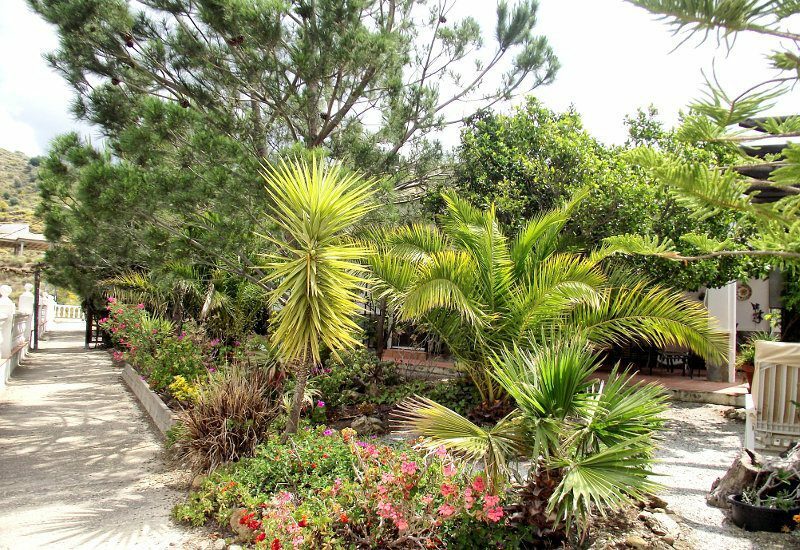 Heading to the back of the premises, behind the outbuilding, you enter another part of the large garden with various fruit trees and a plot of uncultivated land. 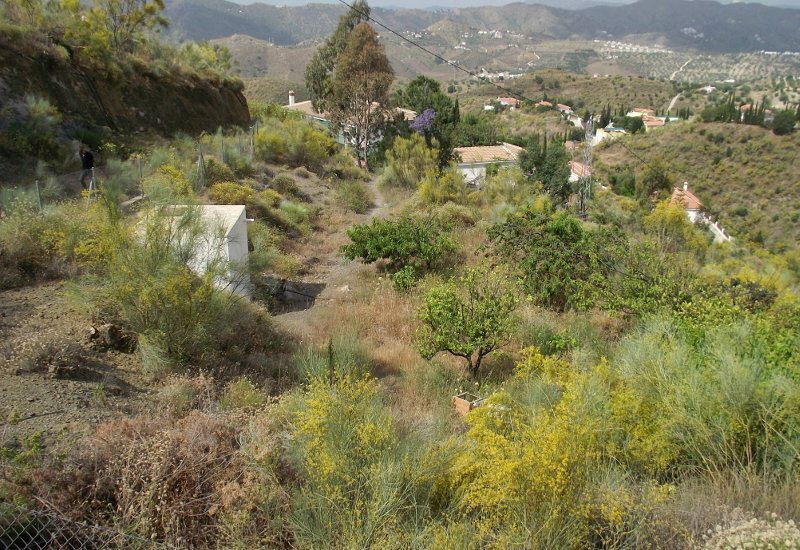 This piece of land is mostly flat and is very suitable to place an above ground swimming pool or can easily be adapted for holding horses; you can step directly from your own garden into the Andalusian nature! The garden has lighting, a water irrigation system and is almost fully fenced. 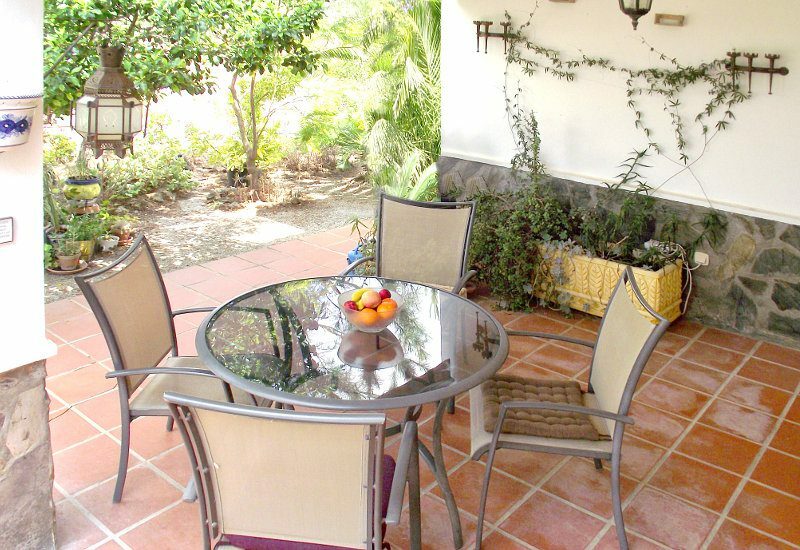 Los Gavilanes is a spacious and well-built Andalusian country house with a beautiful, established garden and great views. 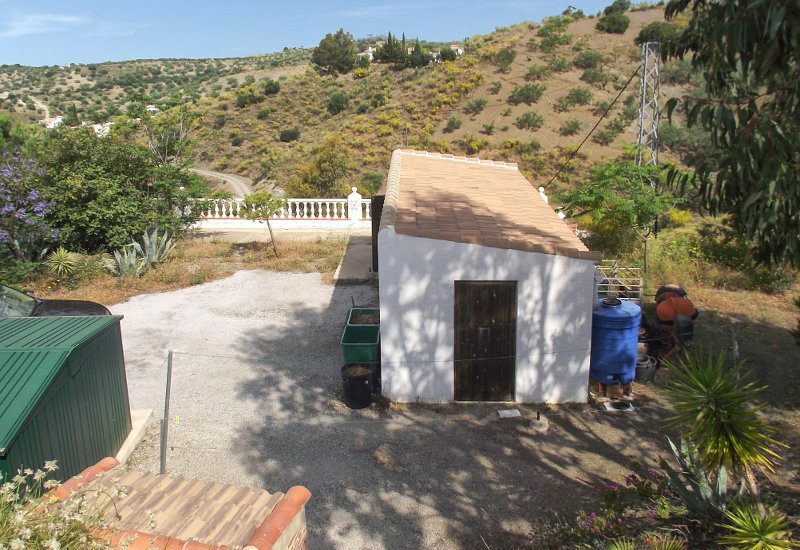 It has a separate outbuilding, a shed and another big piece of land with many possibilities. Moreover, it is very attractively priced so come and see it with your own eyes; we would be pleased to make an appointment for a viewing.